Angel Luis Gaspar, coordinator at site. 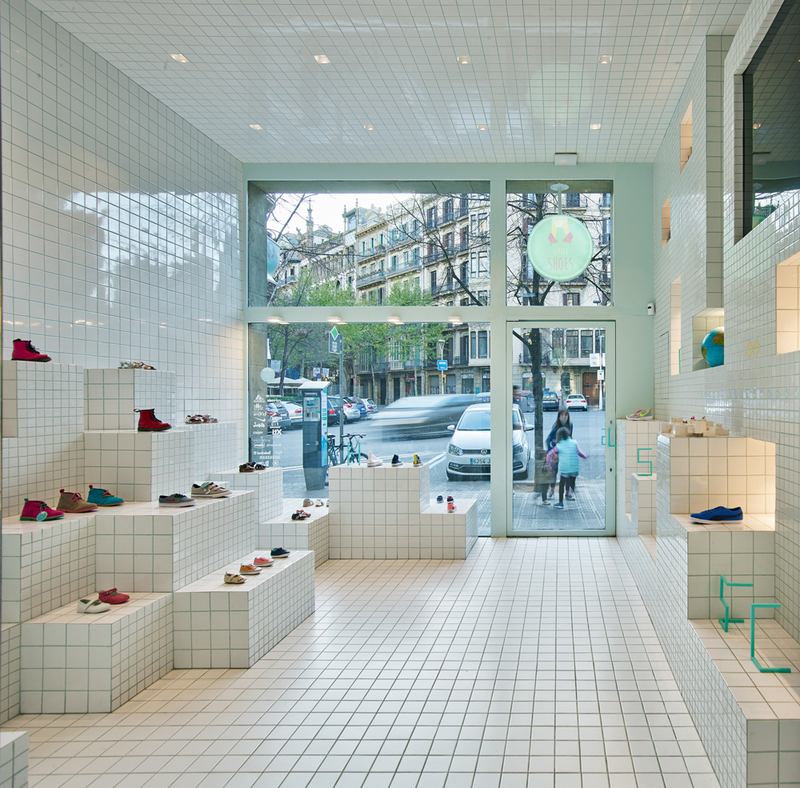 The Little shoes flagship store is located in Barcelona near Paseo De Gracia. The shop is a retail dedicated to kids. The space is entirely shaped by 360 degree ceramic tiles manufactured by Ceramica Vogue. The tiles configure a grid combining different dimensions 5x5 10x10 and 20x20 and accurately matching the lines together stereophonically. The grid is a metaphor for kids notebook generally used to order letters, numbers and drawings. In this case the grid is a guide and a support to order the product. The atmosphere reminds a preadolescentschool ambient where duty (grid) and play (cubes composition) are calibrated together with decoration. The curtains have been chosen for its particular softness and texture to evoke the warmth of childhood.